There's something very soothing and earthy about Chickens and the use of BBQ Rub for Chicken. More people eat chicken more than just about any other dish in the world except of course if you're a vegetarian. And when you eat as much chicken as we do in the US it can tend to get old. Old in the sense of monotonous having its day in and day out. 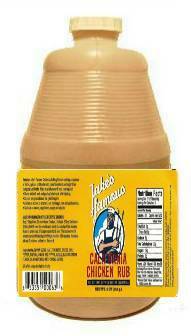 And for that very reason we created Jake's Famous savory California Chicken Dry Rubs for sale recipe for Chicken, fish and just about everything else seasonable. Our focus was to uplift the average chicken meal with a seasoning rub that is memorable so much so you'd want to have it again and again. 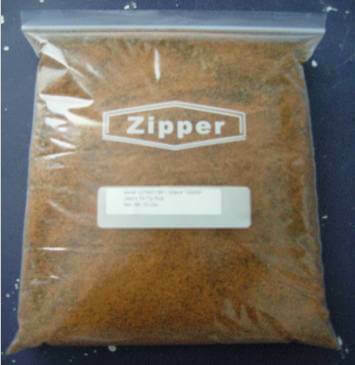 Our BBQ Dry rub for sale California Chicken Rub is just that spice blend built made purposely as a seasoned salt combining notes of garlic, onion, red chili pepper, Hungarian paprika marked as the sweet almost sensual flavor will have almost no heat at all. It has the warm flavor of ripe peppers and sunshine, as well as a complimentary bitterness sometimes seen as a cross between a red bell pepper and cayenne and smoked hickory salt the spices are earthy, spicy, complex famously accompanying chicken. But our savory California Chicken Dry Rub for sale is as great for grilling as it is for braising. The earthiness of the spices are replaced by roasted, caramelized flavors which act as sheer magic on chicken recipes before grilling along with hints of awesome brown sugar enough to make exceptional grilled chicken, beef and pork ribs and succulent turkey. The experts believe in sparingly seasoning with this dry rub for chicken with simple mixes of salt and pepper. However, when they want to pick up the flavor of a chicken they look to richer, deeper more complex seasonings to create a whole new taste experience for their guests. Some will season with garlic, pepper, and salt, while some will season with a sprinkle of kosher salt combined with paprika and onion powder backed by black pepper and so on. One thing we learned is there really is no one way to season a chicken. Based on that knowledge we focused on a regional approach to chicken, ribs, and steaks. We began by building the best chicken seasoning we could then we married that with the simple essence of a seasoned salt rub. Once achieved we focused on balancing the flavors that make them so memorable. After more than twenty and less than a hundred blends we finally did arrive at our chosen destination. A natural bbq rub for chicken so compelling that it is now used in global markets, groceries and delis. This is the 5th in our series of dry rubs. Our goal was to create a premium seasoning product that also marinated but delivered flavor as a focused rub with a broader taste spectrum. As we've said over and over the cornerstone of every great BBQ starts with your bbq rub. Spices are meant to enhance not overpower the flavor of whatever you are cooking and also to pair with whatever basting sauce you use. Our California Chicken Dry Rub produces a delicious fine crust built on a base of garlic, onion, red chili pepper and smoked hickory salt for grilling to deliver an even savory flavor while giving the chicken a golden color. Key herbs add even more flavor creating a compliment during the marination process. No matter if you're having chicken pan seared, poached, grilled baked, on a rotisserie or even made from a sous vide then you and I both know you'll need a lot of different seasonings to keep your best customers in check. You can do that with Jake's Famous California Chicken Rub. We call if California Style because of the fresh herbs and spices. This rub will deliver the same or similar flavor of a sauce without overpowering the flavor of the meat? This rub recipe is made with all natural ingredients and does not use MSG or other artificial ingredients and will impart flavor while complementing the existing taste of the meat. The rub produces a wonderfully rich flavor that leaves the meat with a golden brown tint which of course is excellent for Chicken. The rub is in powder form and can be sprinkled or spooned onto meat. The rub is easy and convenient to use saving time. Sprinkle on and let rest for about 45 minutes to an hour the grill on medium to medium high heat at about 225 degrees. No preservative or flavor enhancers in the rub just plain natural ingredients. This rub produces flavors reminiscent of Florida, New Mexico, Baja Mexico, Texas, Arizona and California barbecues. The rub is perfect for power basting and marinates deeply within 45 minutes to an hour. The rub can be left on for overnight marinating and will deliver a light smokiness and golden brown color to the meat. Because it's natural it will speed up the time necessary for marinating quickly becoming one less thing to worry about which means you can spend more time enjoying the barbecue and less time preparing it. Our Chicken Dry Rub does double duty: It adds a robust flavor and delicious crust while sealing in natural juices. Thinking about having chicken and Jake's Famous California Chicken Rub but you don't have access to a grill...no problem. Jake's Famous California Chicken Rub for chicken will work wonders in the oven. Chicken will come out nice and moist with just the right amount of caramelizing. The steps are simple and included here. Just select your chicken along with Jake's Famous California Chicken Dry Rub for sale. To achieve maximum flavor it's a good idea to properly address your chicken. Meaning the best chicken results are achieved when the chicken is thoroughly cleaned and prepped. After the chicken have been properly cleaned and patted dry rub the chicken generously with the dry rub and wrap with foil. Let the chicken rest in the foil for about an hour. Adjust your oven to 350 degrees. Set the chicken on the counter to bring it to room temperature. Wrap the chicken in foil and place in a baking container. Cook for two hours. Open the foil and baste on your choice of Jake's Famous BBQ Sauce covering both sides. After the sauce is applied leave the chicken with the foil open. Turn the oven to 400 degrees and cook for approximately 15 minutes. The additional heat will create a caramelizing effect on the top of the chicken. Once the chicken has completed cooking remove and cover allowing the chicken to rest for about 20 to 30 minutes. For table use keep Jake's Famous BBQ Sauce on the side in a warm dish then serve and enjoy. Add sides like corn on the cob and baked potatoes. Here are two Chicken Recipes we know you will love. Superb BBQ Chicken Recipe in Tangy Mustard makes this gourmet dish a joy for all chicken lovers. A close friend said we should create a wrap that uses our seasonings. Well we've done it and in the process built one of the best Carne Asada style chicken or beef wraps ever. Follow our easy to use instructions to create your anytime wraps. Recommended Uses: Chicken, beef, pork, fish and seafood, eggs, french fries, soup, green beans, rice, popcorn, baked potatoes, sandwiches on meats and on roast dishes. At Jake's Famous we are working to ensure you have your best barbecue experience. That experience is guaranteed when you use our award winning products. If you feel your experience was reduced or limited by the quality of these products contact us right away and we will replace the items that you believe are not at the quality you expect. To Get the all of our Dry Rubs for sale and our California Chicken Rub Click on the Add To Cart button and follow to Checkout.